Treetop trails 16-60 feet in the air. 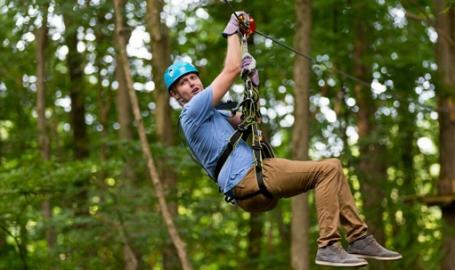 Choose your self-guided course of obstacles and zip lines, with ACCT certified staff to assist. Thrills to satisfy all adventure types!